Back in July, I walked around Dallas in 107°F degree heat and it was so hot it felt like the insides of my eyes were boiling. I didn’t mind. I was happy. I love HOT weather, specifically dry HOT weather. Put me outside on a 100°F+ day, and I’ll stand in the heat until my head cracks open like a kernel of popcorn. Drop me in Texas on a 100°F+ day, and you’ll find me outside with a Shiner Bock beer and a pack of heat-loving chihuahuas — just as dumb as me — roasting their fontanels like chestnuts on an open fire. 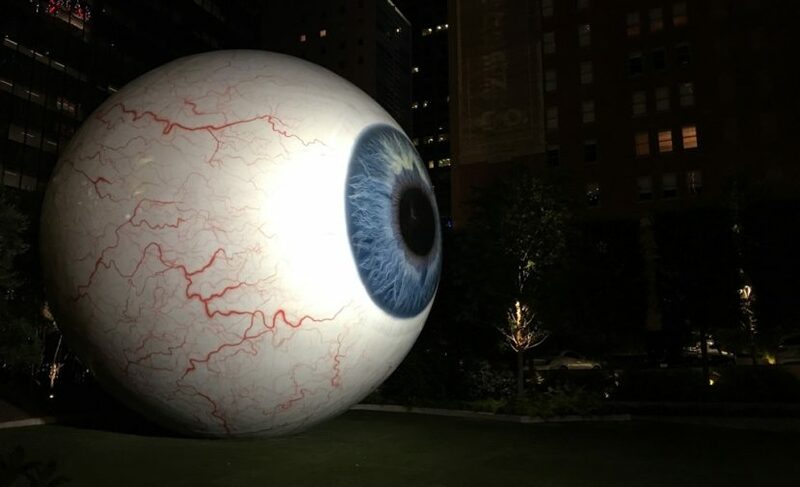 NUMBER 1: go see the The Giant Eyeball. 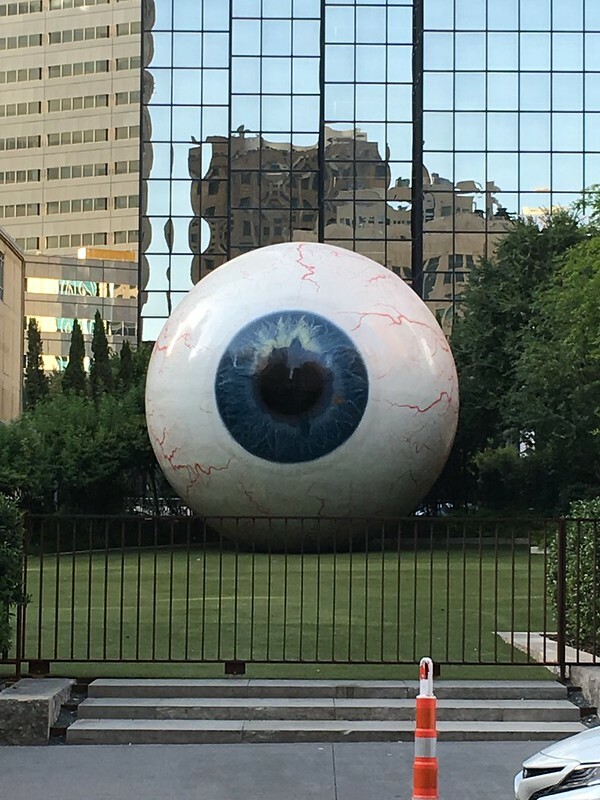 There is a giant eyeball at the location: 1601 Main St, Dallas, TX 75201. 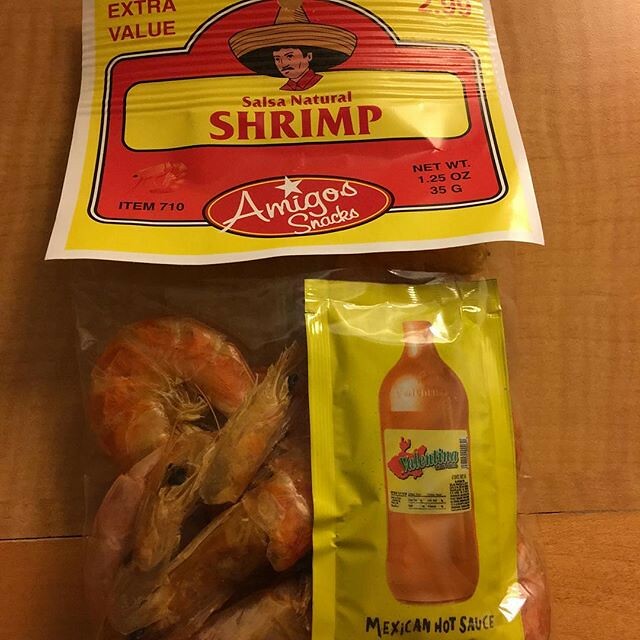 NUMBER 2: get yourself some dried shrimp with their heads still attached at the 7-11. They don’t have these in New Jersey, so to me, they’re a novelty, and I find them interesting. Address: 1295 Commerce St, Dallas, TX 75202. NUMBER 3: Pioneer Park Cemetary at Dusk. Pioneer Park is a quiet old cemetery, shaded by big oaks, and the occasional crepe myrtle. It is loaded with Megatibicen resh cicadas. Each night after work, I would grab a snack and some water, and head to the park and wait for the cicadas to sing at sunset. If you haven’t heard them sing, it’s kind of amazing. Other than the cicadas, which sing for just a half hour a day, the park is quiet, relative to the rest of the city. No one is there to hassle you, which I like. 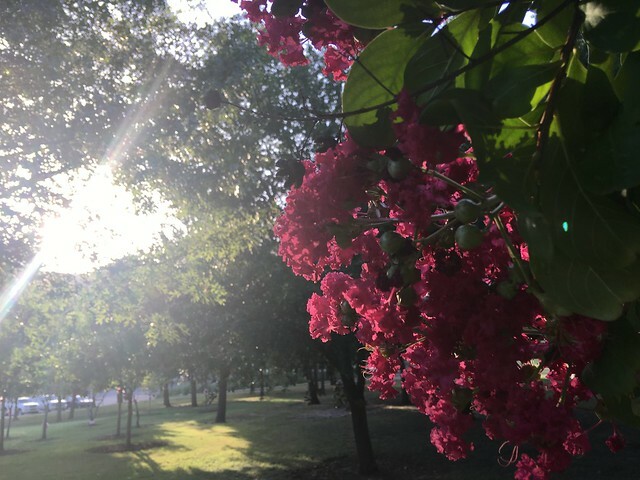 A crepe myrtle at sunset. 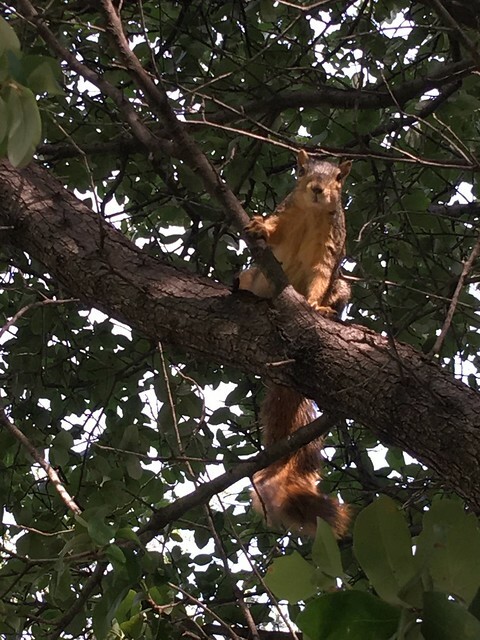 The squirrels are cute as well, and once they figure out you have snacks, they’ll follow you everywhere. 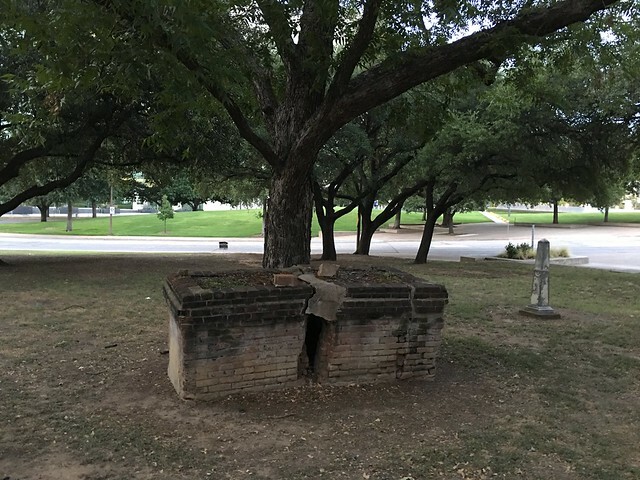 Is that a kid leaning up against that tomb? No, just an optical illusion. Address: 1201 Marilla St, Dallas, TX 75201. 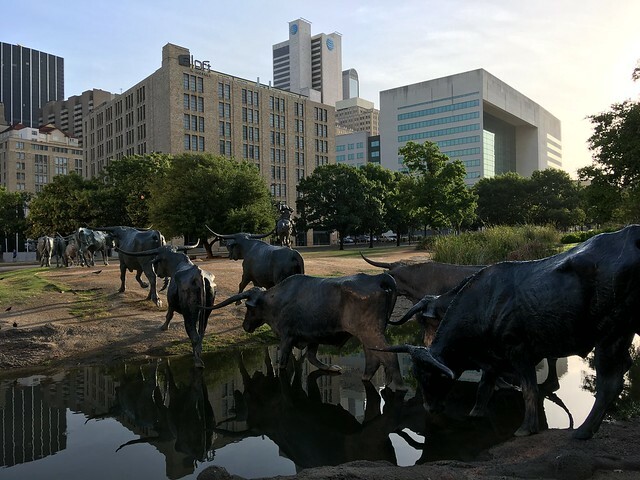 NUMBER 4: the Cattle & Cowboys sculpture at Pioneer Plaza. To the west of Pioneer Park Cemetary is Pioneer Plaza, which features about 40 realistically sized and rendered sculptures of cows and cowboys. If you’re in Dallas you must see it. 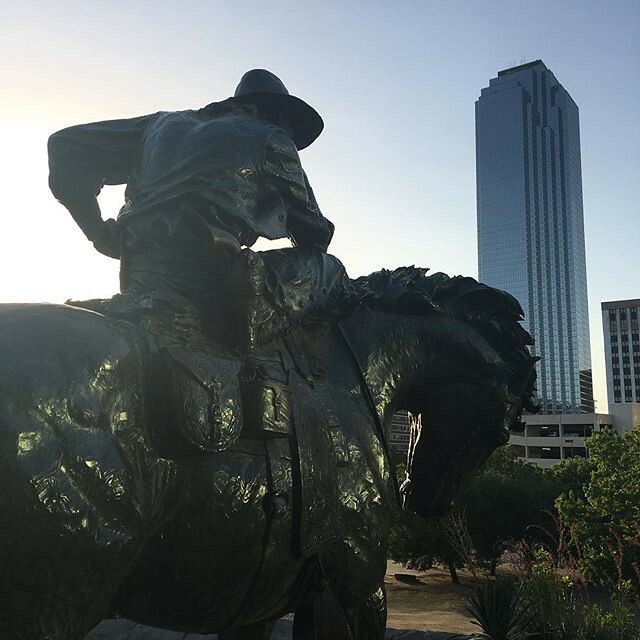 A cowboy looking towards the skyscrapers of Dallas that beef, oil and telecommunications helped to build. As I walked around Pioneer Park, the nearby Police Memorial, and City Hall, one person after another stopped to ask me where “the cattle” were, like I was a park ranger. Maybe it was how I comport myself that gives me an air of authority. I am the new mayor of Dallas. Address: 1428 Young St, Dallas, TX 75202. NUMBER 5: Dallas Police Memorial. To me, it looks like something out of science fiction. Address: S Akard St. Dallas, TX 75202. 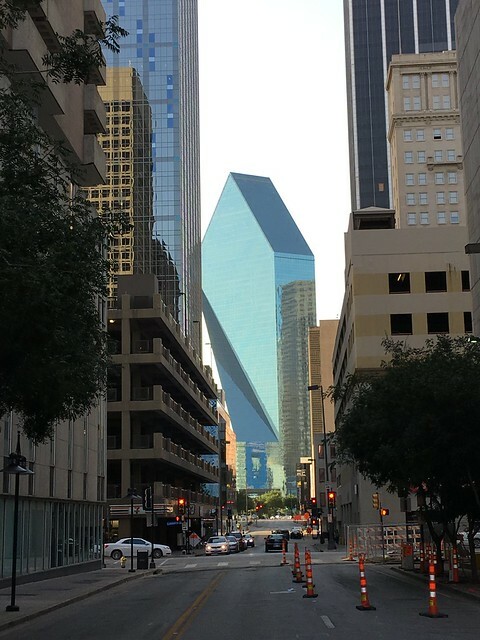 NUMBER 6: Fountain Place (the diamond shaped building) is perhaps the most impressive building in Dallas because it is capable of vibrating through time and space and transporting reptilian travelers to our dimension. What? Address: Fountain Place, Dallas, TX 75202. NUMBER 7: Dallas World Aquarium. BUT ONLY WHEN FAMILIES ARE NOT AROUND. When you pack hundreds of people, on a 100°F day, into an attraction with a climate that resembles an actual jungle, where customers can only walk as fast as the person ahead of them, and one out of five have strollers or baby carriages, and the parents are ramming the strollers into your Achilles tendons… its a nightmare. “Oh look, a sloth”… good luck taking a photo as a herd of humanity gathers you up like a wave and pushes you down the path like a log down a flume. Go on a day when it is not crowded and families are not around. 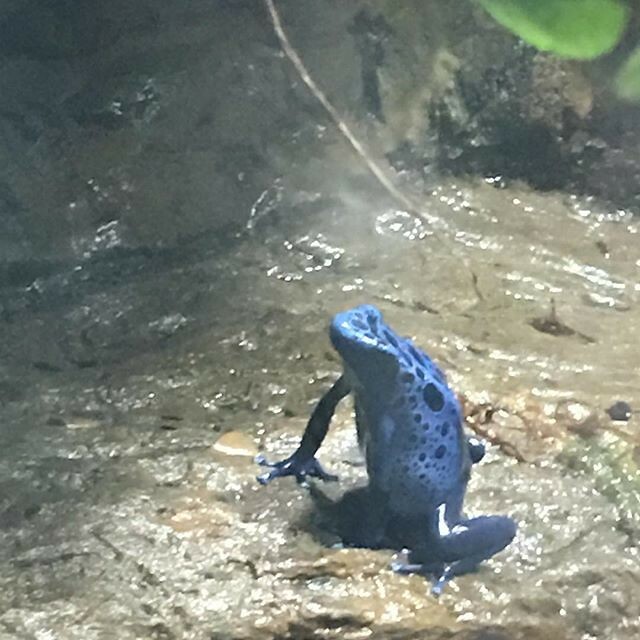 Blue frog will poison you. Don’t touch. Address: 1801 N Griffin St, Dallas, TX 75202. 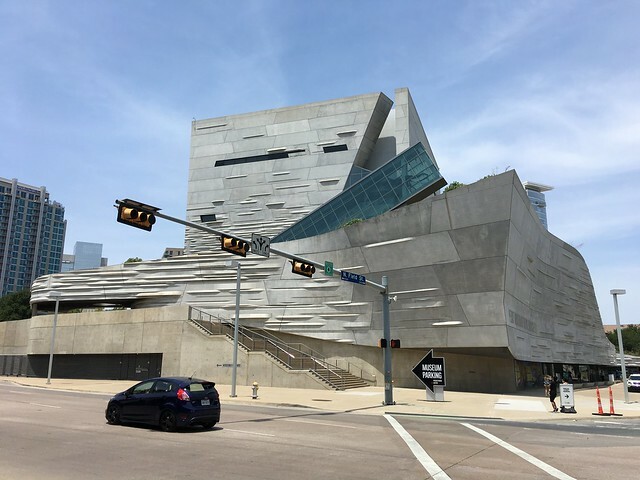 NUMBER 8: Perot Museum of Nature and Science. Just look at the building, which looks like it should be a modern art museum by the shape of it. Stacks of collapsing twisted metal & glass. But don’t go in because it’s filled with thousands of families. Families love dinosaurs, and this place has them. Avoid, unless you are a family. Address: 2201 N Field St, Dallas, TX 75201. NUMBER 9: Dallas Museum of Art. 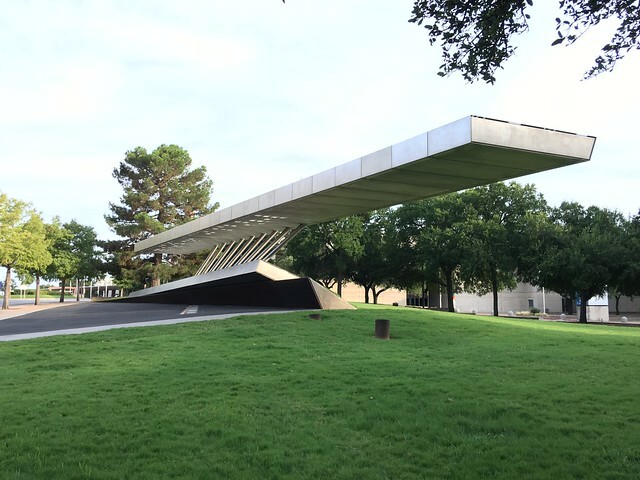 The Dallas Museum of Art … because it is spacious, has fewer families than the Perot Museum or Dallas World Aquarium, and it is air-conditioned. Bonus points if you actually like art — I do — you may not. Elliptical bottle depicting a sprouting bean with a human face. 300-100 BC, Mexico. 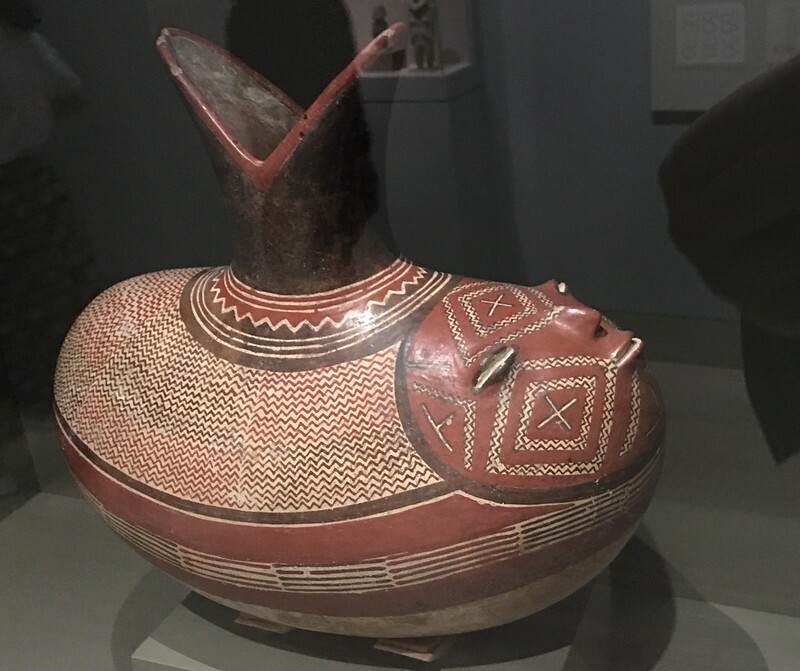 Looks like the Etruscan Boar Vessel. Address: 1717 N Harwood St, Dallas, TX 75201. NUMBER 10: The fountain at City Hall with the rotating red Pacman sculptures. “The fountain”, as I call it, is a large, round artificial pond featuring water fountains, and rotating red Pacman-like structures. On a blazing-hot day, it looks quite refreshing. I’m pretty sure the person was a she, and she sat next to me on the flight back to Newark. If you go someplace, and it’s full of kids and families, and you’re there alone, just go. Leave. It’s their space. 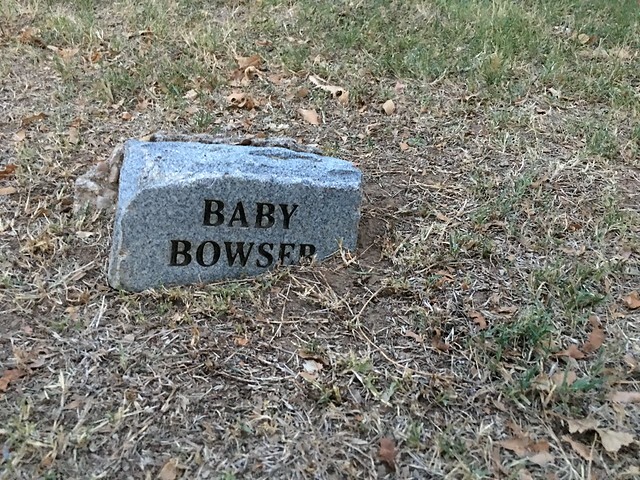 You’ve entered a time and space that belongs to families. Go to a bar… or some other place for adults… and maybe come back when there are no families around. But just leave. You don’t belong there. If you have 10 hours to kill before a flight, do this: take all your stuff (luggage, unnecessary jackets, laptop), and bring it to a UPS or FedEx and ship it to your home or office — and then go out and enjoy the town. That’s what I do. It’s good advice. 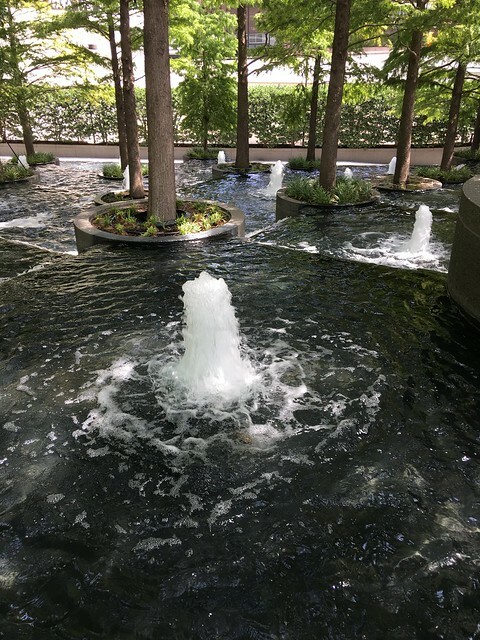 Dallas has a lot of refreshing looking fountains. On a hot summer day, they look very inviting. Will you go for a swim? Probably not.